It is the painter's identity, her style, her conviction. The color is just a gift to the drawing." Small figurines that you love, make great models for quick gesture drawings. If you go through the archives here, you'll see many versions of these little guys. because when you sketch and paint what you love, it shows! If you are strapped for time, just do one set of 2 minute gestures everyday. You'll be surprised how much even that little bit will help! This shows you how I set up my little model for this sketching Session. 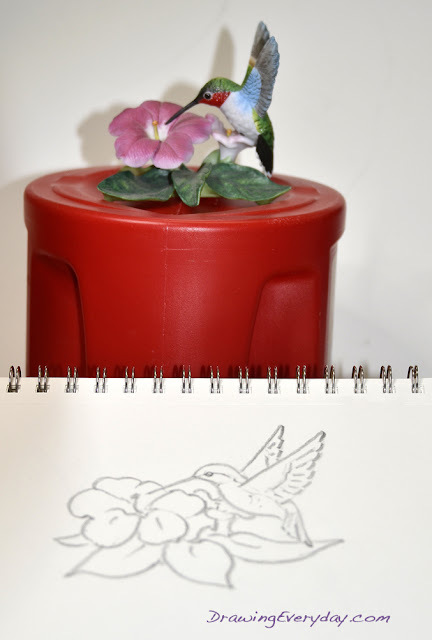 • When drawing small objects, it helps to get the item closer to eye level, so I set them up on a box or a large coffee can. 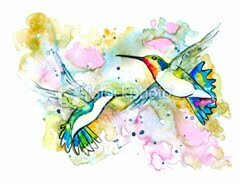 • It also helps to isolate the subject with a solid colored background. • Closing one eye often helps if you are having difficulty. 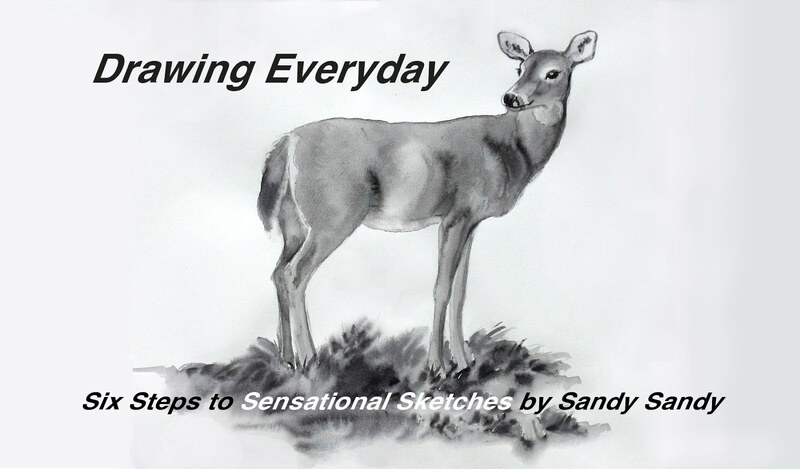 • When drawing, try to keep your body and head in the same position or your view will change. • Prop your drawing pad up at an angle. Use a Beanie Baby, or something similar. 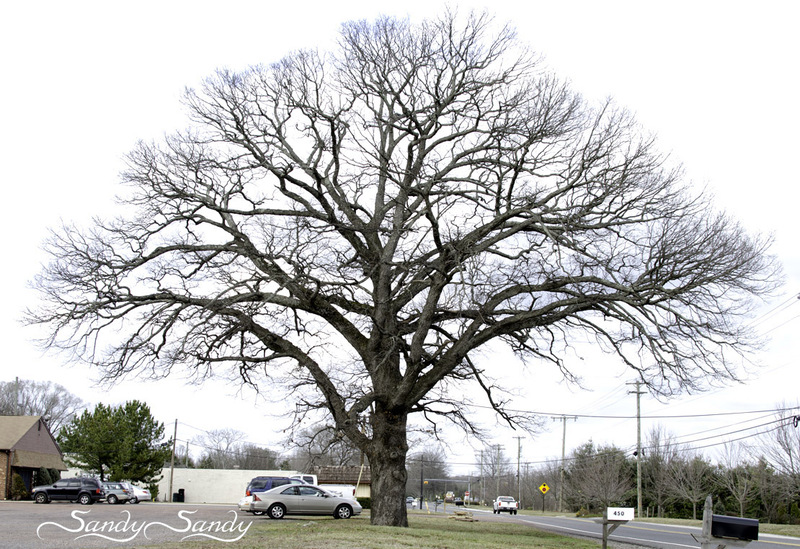 • Squint to see large shapes as you start to draw quickly. 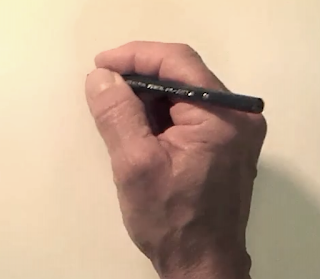 • Hold your pencil **In position One like a wand (**Like you were conducting an orchestra) It's the complete opposite position from **position Two - the position we use to write our name. • Block in large shapes **In position One. Use the side of the pencil. Look at negative space. Make comparisons. Work fast. 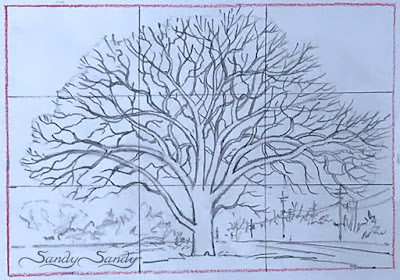 • Then, if you still have time, turn the pencil to *position Two and add a few details. 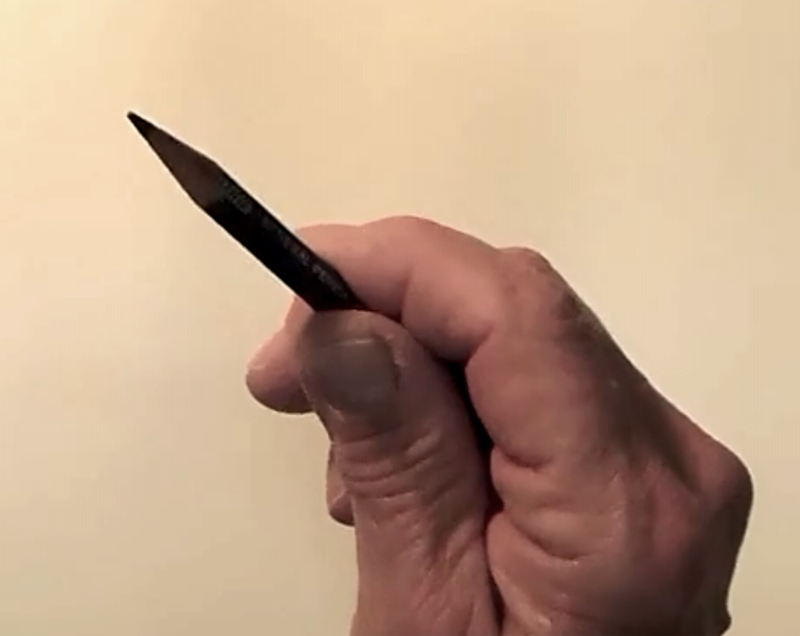 • You can see a short video on sketching gestures and how to hold your pencil here. Follow this link for more tips on how to go about doing these quick gestures. 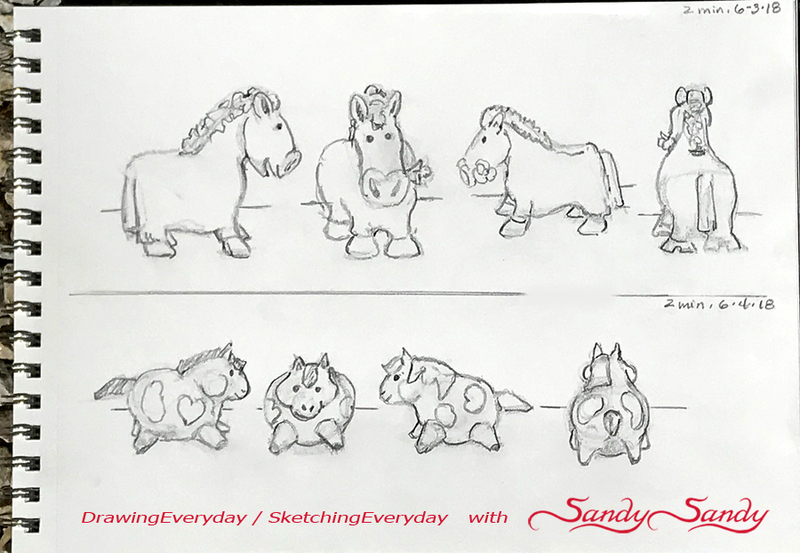 http://www.sketchingeveryday.com/…/in-starting-gate-and-the… The brain processes 3D objects differently than when viewing flat, 2D reference. Drawing from photos is good practice too, but there are some real benefits to to starting off sketching studies with drawing from life! "Sketching is like dancing. It's process as much as product. You can turn your head off and just sort of dissolve into the now." 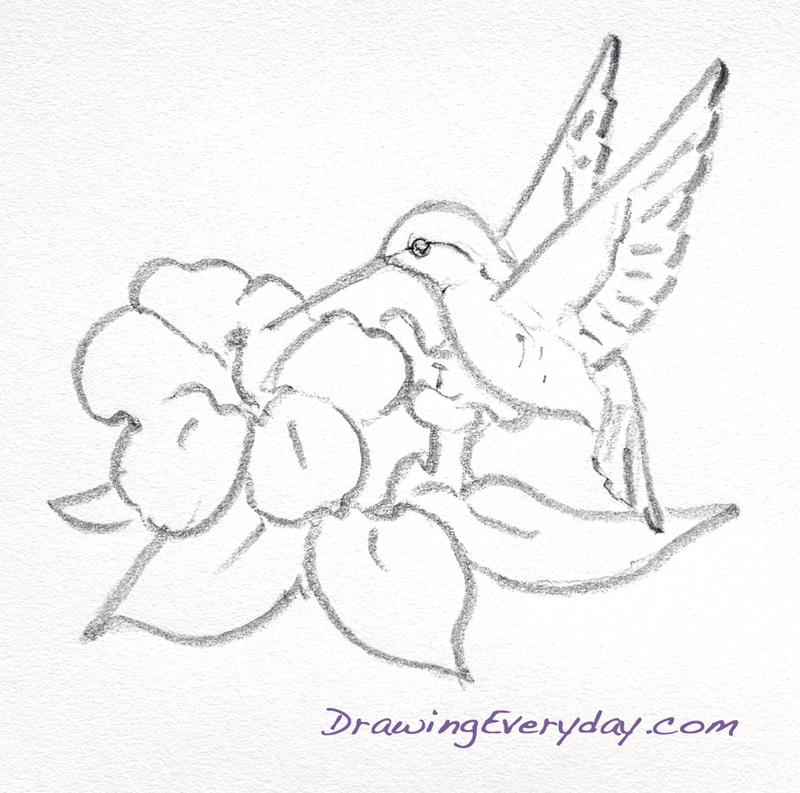 DrawingEveryday / SketchingEveryday Starts Today! to correct, fine tune or save time." I feel that tracing before you actually learn how to draw is cheating yourself out of the gift of refined artistic sight and is a detriment to your continued development as an artist. A huge part of learning to draw, is learning to really SEE. 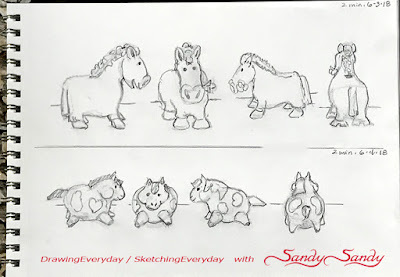 Drawing and advanced observational skills can only be developed through using them! Learning to draw, especially from life, teaches you to translate what your eyes see, into a language of two dimensional lines, values and shapes. This is why life drawing is so important; and why it has always been at the forefront in all classical art education! It is often obvious, to those with the acquired skills, when something has been traced from a photo without a solid knowledge of 3D form. This 'insight' and ability is only acquired through educated study and practice. In my opinion, tracing, especially when done from someone else's photo, does very little to teach drawing skills or contribute to one's long term development as an artist. The photograph, that someone else took, and the perspective that went into creating it, belongs to someone else; even if it was bought or is in the public domain. When tracing, no matter how much you change the colors, or what techniques you employ, it is still not truly your own art. You are not adding your own perspective into it and you are inevitably cheating yourself out of your own growth and unique vision. 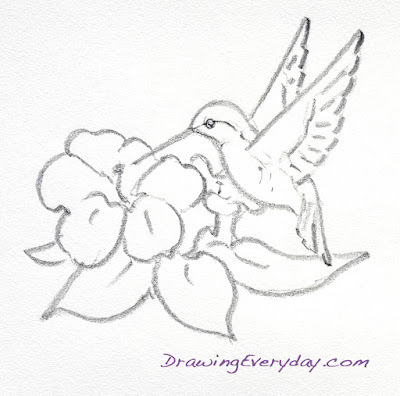 I do think it is OK to trace to save time or to refine your drawing, once you are already adept in drawing skills; but it is no way to learn the essential Right Brain Shift and really start SEEING. Everybody feels awkward and fumbles around with it in the beginning. Even if you can draw, but have been delinquent in doing it for a while, it can make you feel downright inadequate and uncomfortable. But that's what growth is all about! Accept the challenge and enjoy the process. If you work through it, and dedicate some time everyday (as little as 15 - 30 minutes), I assure you, that drawing will become easier and more enjoyable the more you do it. 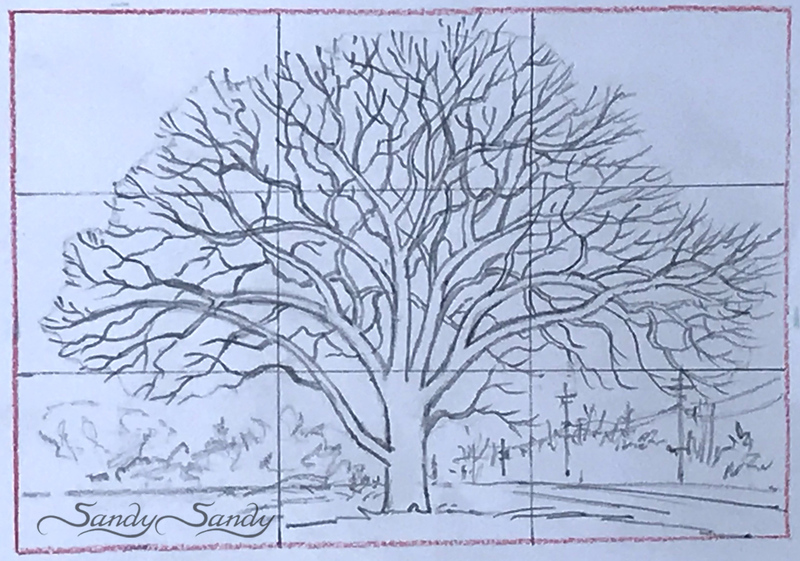 I used the same grid on my photo and the drawing to help me see the shapes more easily. I will be drawing again everyday from June - August. Why don't you give it a try? I'm sure you will agree that refining your drawing skills will open up your eyes like nothing else and really make you SEE like never before! Join our facebook group here. "When drawing lies fallow, the skill diminishes." "Draw, as much and as often as you can." And Please Don't Forget. Time is running out. Don't miss this fun adventure. the FUNdamentals of Alcohol Ink E-Course.